As we are in the nominations period for the Council election and we’d like to encourage more nominees, we thought we’d try and de-mystify the role to encourage new people to dive into the role! Help raise awareness of EAHIL and encouraging participation in EAHIL activities. This usually can be done by forwarding emails or social media to local, regional and country networks/contacts. This would take only a few minutes at 3 to 6 different points in a year. 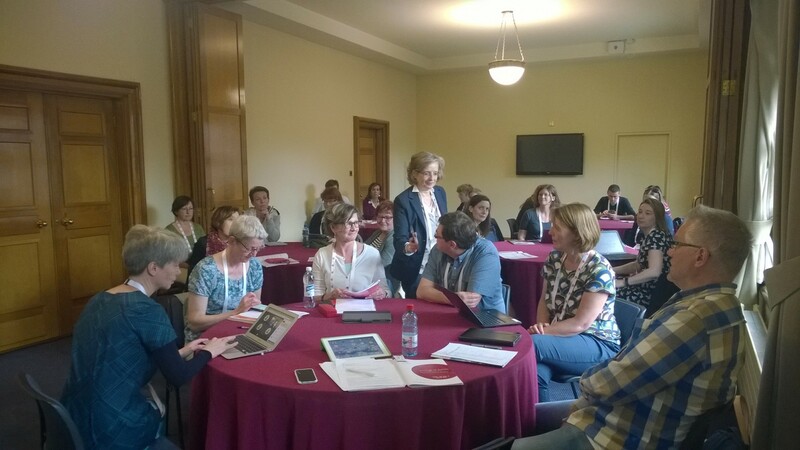 Give news and feedback to the Board about what’s happening in health libraries or librarianship in your country, and about how EAHIL could better support professional development. This can be done informally at any time e.g. via email; or more formally, for example during a Council meeting (see below) or by sending a proposal to the Board. The amount of time needed would vary from nothing to report to whatever time is needed to write a paper and discuss proposals. Perhaps once or twice per year, the Board will send an email to the Council asking for feedback on a specific issue. This would take only a few minutes. The Council meets once per year, usually on the day before the formal start of a conference or workshop. Since 2013, we have made it possible to join these meetings online, for those members not able to travel to the event. The Council discussions have in the past led to interesting developments for EAHIL – for example, the pilot of online webinars for professional development came out of a suggestion made at at Council meeting. Once travel is taken into account, attending the conference/workshop is usually just under a week. Attending a Council meeting online is about 2 hours’ commitment including preparation. Many Council members are also involved in helping with prize evaluations at conferences/workshops – this would happen during the event proper. We would also like Council members to be invovled in checking applications from new members from their country, and we are currently working on the membership database for that functionality.